Lana's diamond hoop earrings are great for any occasion. 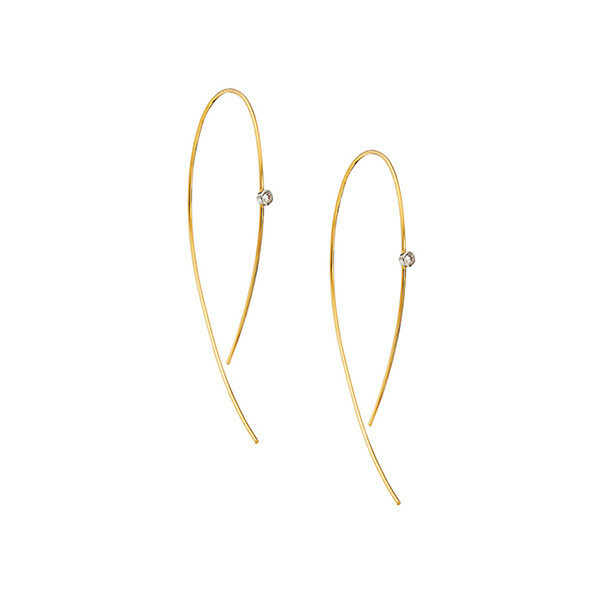 Small hooks of 14K yellow gold create inverted hoops that loop through the earlobe. Small white diamonds are individually set in a bezel and placed on the front of each hoop. The smallest Lana elegance looks amazing with any outfit.